I am using iTerm2 under High Sierra 10.13.6. iTerm2 lets me assign Control-Command key combos to particular actions. This mostly works fine, but at least two of these do nothing: Control-Command-B and Control-Command-D. I suspect they are being grabbed by something at the system level. However, manually walking through all of System Preferences -> Keyboard -> Shortcuts didn't show anything for these two. Is there a way to get a list of all key combinations and map them to what they are (or are not) assigned to? KeyCue which is €19.99 but does have a trial. I suspect this is probably the best of the bunch, although it’s the most expensive. CheatSheet is another one, which is free, although it doesn't show nearly as many shortcuts as KeyCue does. Unfortunately, when I tried KeyCue and CheatSheet, neither of them showed anything for ⌃⌘D or ⌃⌘B. I know that ⌃⌘Dis used for the system dictionary (highlight a word, press ⌃⌘D and you’ll get a dictionary lookup for it). But I don’t see a preference for it in System Preferences to allow you to disable it or re-assign it. Also ⌃⌘B doesn’t seem to do anything on my Mac, so that may be specific to some app that you have installed. That’s where I usually find the culprit when something has stolen a keyboard shortcut that I want to use. Not the answer you're looking for? 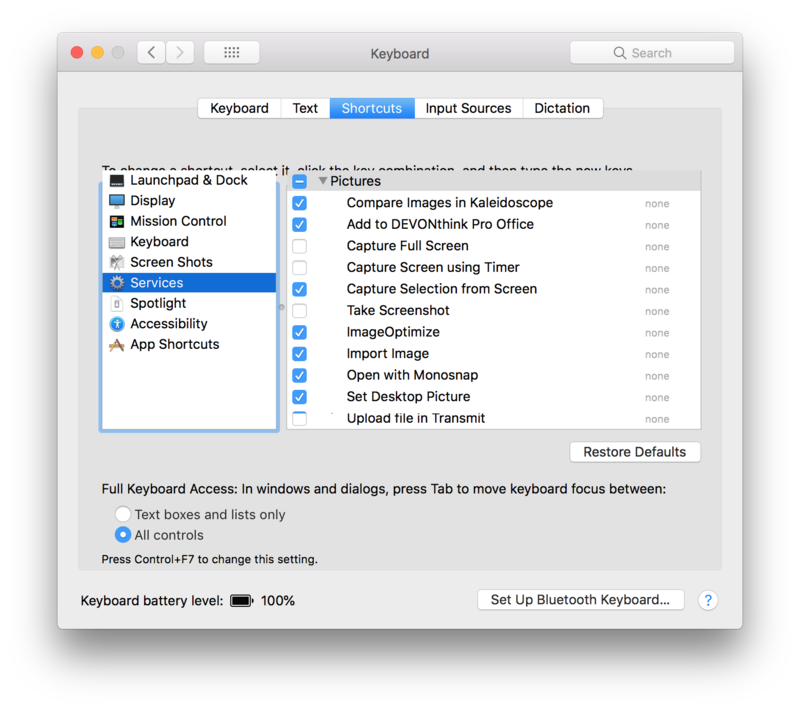 Browse other questions tagged keyboard iterm . How to use default (english) shortcuts on Mac in german language?